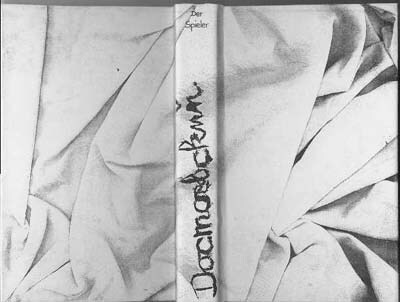 Böhm made several covers with the photocopier, among these also protective covers for his Dostoevsky edition (10 volumes) in 1993. The covers have the same source (written cloth) but differ in brightness. Other covers were made for a copy of Bone 1 and a book about Gertrude Stein.